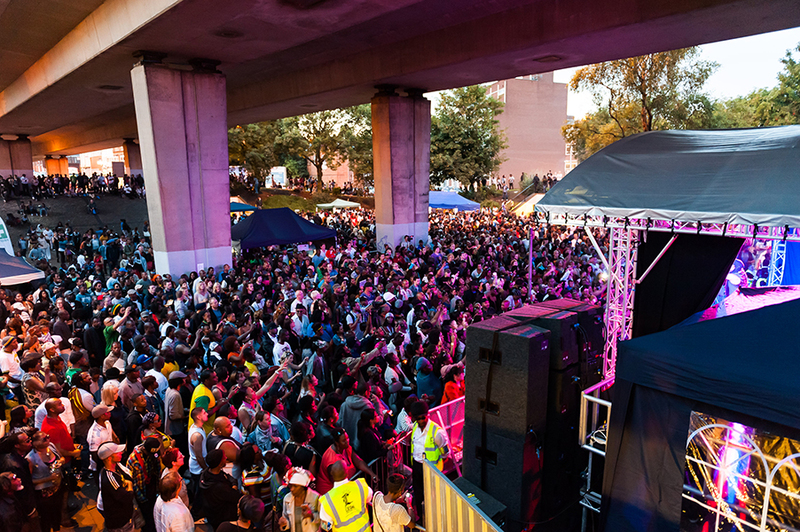 Led by multi award winning musician Soweto Kinch, The Flyover Show is a one-day festival of music, art and dance, which brings world renowned acts right into the heart of Birmingham’s community. Headlining the 2016 festival is jazz/reggae guitarist and composer Ernest Ranglin, whose performance forms part of his ‘farewell tour’ and is a rare and final chance for Birmingham audiences to see this legendary musician live on stage. Ranglin is joined on stage by Soweto Kinch, who will also play with his own band. Further acts include Basil Gabbidon, Eska, Call Me Unique, Knox Brown, Juice Aleem, TrueMendous, Reuben James, DJ Winchester, YounGod, Decip4life, Amerah Salah, Jae Dot Sosa and Trope. Set beneath the Hockley Flyover, there’ll also be spoken word, graffiti art, break dancing, local food stalls and a host of arts & activities for all ages from 12noon until 9pm.